To say that there is a lot to know about SEO is quite an understatement. For not only is there a great deal of knowledge, skill and experience required to be truly competent at planning and managing SEO campaigns, but the rules keep changing. Google is constantly changing the landscape, sometimes subtly, sometimes dramatically, but each new algorithm can drastically influence the effectiveness of your efforts. Mastering SEO is like going to school, and the class never ends. That being said — and acknowledging upfront my ignorance to the wild inner-workings of Google’s algorithms and how to tame them — this article deals with a top-level approach to SEO. Whether you work for an agency, a small enterprise, an international conglomerate, or a non-profit organization, SEO is one of the tools you use to improve your online presence. If it isn’t, it should be. Virtually every organization these days benefits from a strong online presence, and SEO is an integral part of the online marketing mix. But what do you know about SEO and are you confident in how to approach it? Hiring knowledgeable people is an excellent first step, but you still need to be able to manage these people, as well as your company’s expectations. – Organic: Writing strategic content (web pages, blogs, white papers, social media, etc.) to help your website rank higher in searches. – PPC (Pay Per Click): Paying Google (and other search engines) for keywords and ads to drive interested traffic to your website. – Advertising: Paying other websites and online publications for banners and other online ads to drive interested traffic to your website. Here are three important criteria for project managers when considering SEO. Your staff, contract workers or agency should be able to explain and address each of these areas to your satisfaction. First and foremost is getting results. So what do you need to provide I order for your SEO efforts to be successful? Your agency, or inside team need guidance and information to direct their strategy and tactics. Consider the specific campaign objectives, areas of focus, targeted markets (demographic, geographic, industry), content, keywords and budget. Then, what should you expect from your agency or staff? They will quantify your objectives (how many leads, submissions, page views, clicks, etc. are required to meet your objectives), perform keyword research and assessment, create/edit targeted content, design/write ads, create an implementation plan, provide ongoing monitoring and reports with recommendations. Working as a team, you will constantly refine and add to the tactics and work closer to your objectives. Note that SEO is not a quick fix. Attracting new traffic with content is essential and long-term, but may take months to have a measurable effect. Even PPC and ads, which can generate traffic quickly, typically take some time to consistently drive the right audience to your website. Moving the new web traffic through your funnel, or nurturing the desired behaviour (e.g. register for a course, ask for a quote), is also a process that takes time to prefect. A marketing rule of thumb is that no-one does anything with receiving some form of benefit. It may more altruistic than “What’s in it for me?,” but there needs to be some form of gratification or reward to encourage action. Consider how your targeted markets will benefit from engaging with you and articulate that clearly and in a compelling manner. Look at each action you would like your new web traffic to take (e.g. clicking through to website, clicking on a CTA/banner, signing up for your blog or e-newsletter, asking for a quote) and provide some incentive to help them along the path. 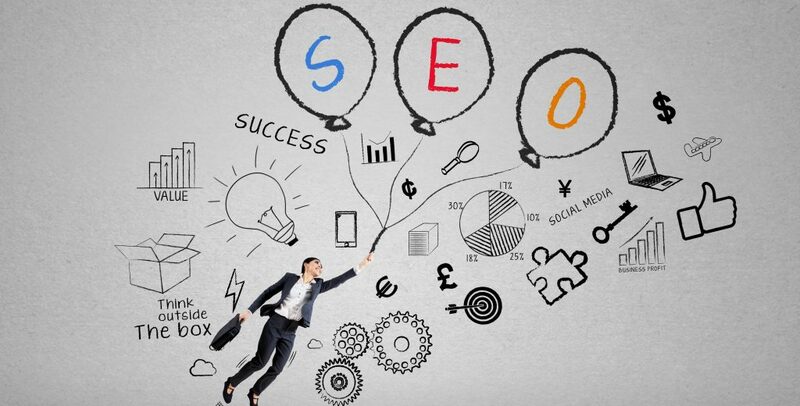 Some see the ultimate objective of SEO to drive more traffic to your website; of course, it’s more sophisticated than that. Increasing traffic is a step towards developing business, so certainly it is important, but you need to attract the key audiences that fit your ideal personas. So, if you’re an organization that is focused on serving parents of elementary school kids, you’ll only be successful if a good portion of that new web traffic fits that demographic. Beyond the audience you attract, your SEO initiatives must represent, and ideally promote, your brand (which should already take into consideration your mission vision, etc.). Organic, PPC or advertising all revolve around content. Ensure that the tone, vocabulary and information presented all embrace your organizational brand and culture. Even if one of those parents mentioned above does not click through to your website, you’ve had an awareness and branding opportunity to positively position your organization in their mind; maybe next time they will click through. And, of course, your SEO efforts need to flow with any other marketing and advertising campaigns your organization is running. Not just from a brand perspective, even theme. You may be able to increase the effectiveness by leveraging the theme from an existing campaign. What would you add to this list of important criteria for a project manager to consider when employing SEO? Add your thoughts to comments below.